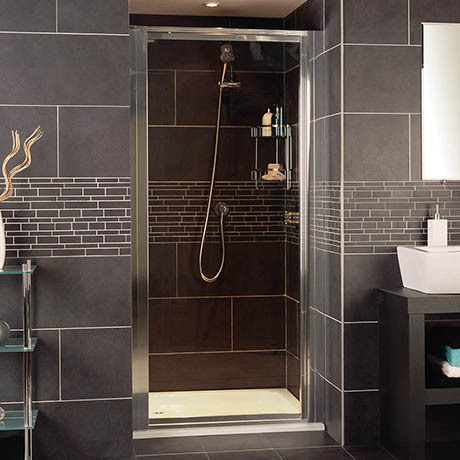 Simplistic and stunning, the Collage Pivot Shower Door provides a practical showering solution and takes up minimal external space when opened due to the offset opening, which allows for other bathroom furniture. The Collage Pivot Shower Door features bright silver framing, reversible design for left or right hand fixing and a magnetic closing mechanism. It stands elegantly at a height of 1830mm with 4mm thick glass, and can be fitted in an alcove or combined with a side panel for a corner installation.